In the mid 1930s, two young Irish-American scholars voyage to the Albanian highlands with an early model of a marvelous invention, the tape recorder, in hand. Their mission? To discover how Homer could have composed works as brilliant and as long as the Iliadand the Odysseywithout ever writing them down. The answer, they think, can be found only in Albania, the last remaining natural habitat of the oral epic. But immediately on their arrival the scholars seemingly arcane research puts them at the center of ethnic strife in the Balkans. Mistaken for foreign spies, they are placed under the surveillance of a nearsighted informer with a prodigious gift for reproducing conversations he has overheard. He is soon generating a stream of floridly written reports about the visitors puzzling activities. News of their presence in the provincial town of N—- sets gossip to flying, and while the town s governor speculates on their imminent capture, his pretty wife, from her bath, plots her delivery from a marital ennui worthy of Madame Bovary. Research and intrigue proceed apace, but it isn t until a fierce-eyed monk from the Serbian side of the mountains makes his appearance that the scholars glimpse the full political import of their search for the key to the Homeric question. 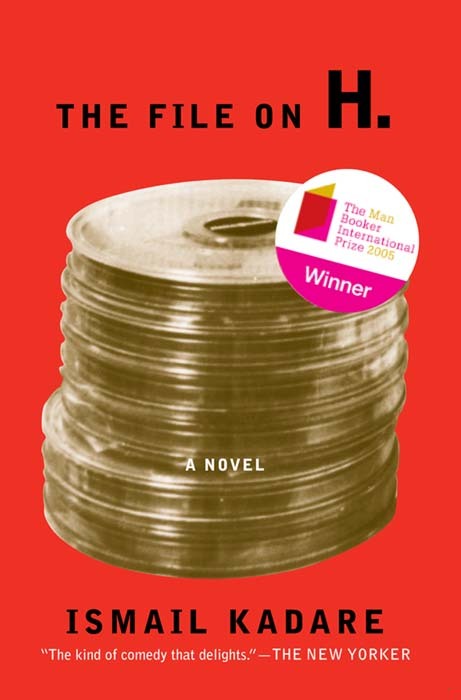 Part spy novel, part comedy of errors, The File on H.is a work of inventive genius and piercing irony that may be Ismail Kadare s funniest and most accessible to date. From an author who has been called «»one of the most compelling novelists now writing in any language»» (Wall Street Journal), it is also a profound and eloquent comment on one of the most intractable conflicts of our time.